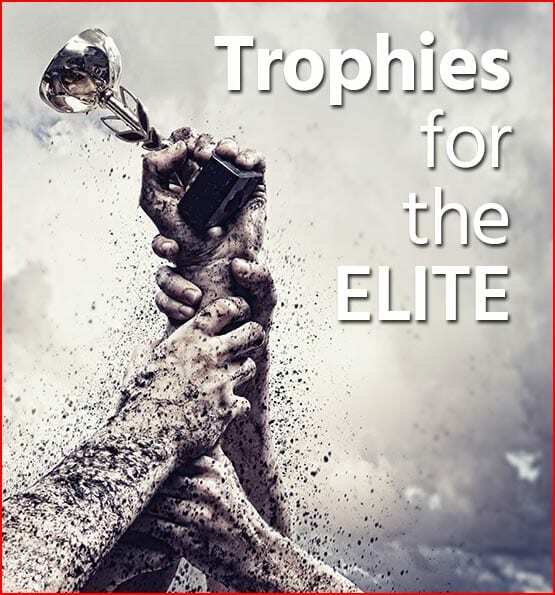 Custom trophies engraved with the names of your high achievers. 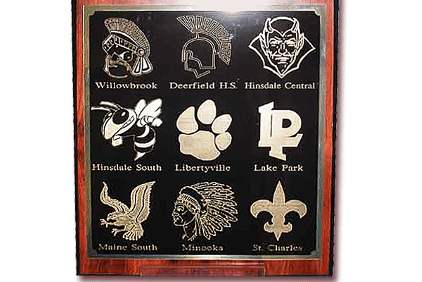 Commemorate your individuals' successes with a permanent custom plaque. 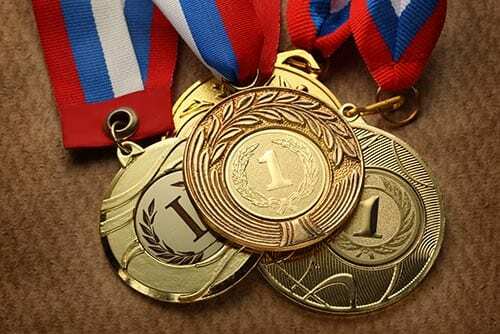 We offer a wide selection of medals to make your participants proud. We specialize in providing trophies, plaques, medals and custom awards for athletic, academic, and corporate events. We have been servicing the Chicagoland area for over 20 years and pride ourselves on our friendly customer service. To see some of our products, please click on the above icons. 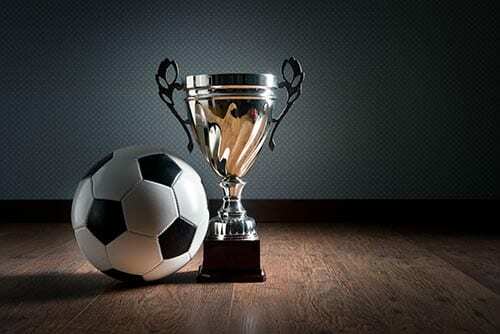 We are the trophy company of choice for high schools, colleges, middle schools, sports leagues and corporations. As a service to our customers, we always offer free engraving with every order.